WHY GO? Splash down the turtle twister slide into a glistening lagoon, relax on the beach or get up close and personal with magnificent Green Sea Turtles. There’s nowhere quite like it in the world. 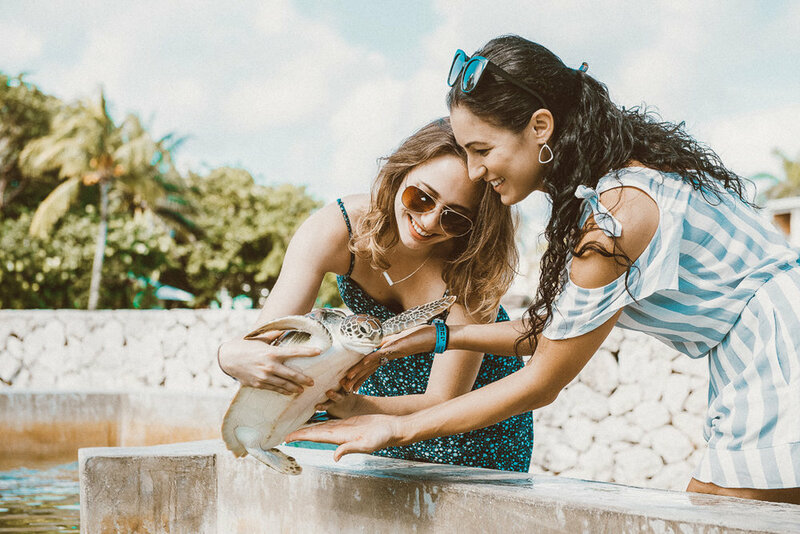 Swim through a large pool filled with turtles and vibrant marine life, learn about the history of these much-loved animals and how the park helps with conservation. A crowd-pleaser is of course the tropical bird aviary - feed these colorful vreatures and spot the rare Cayman parrots. There’s sharks to see, a resident crocodile and plenty of activities for kids - a stop here one for the bucket list.